Enjoying the “incubation” period where I consider how to continue with my dissertation. Taking a break from the computer (e-mail, Facebook, Twitter, etc.). 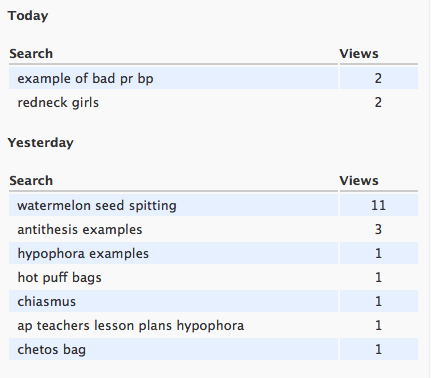 My spring fever manifests itself in strange ways. For example, I decided last week that I really wanted to make ravioli. From scratch. Filled with fresh lobster meat. I bought a pasta maker and commenced pasta making. Step 1: Make dough, knead and let it rest for 30 minutes. Step 2: Cook lobster. Chop tail (below). Mix with chopped mushrooms, salt, pepper and light cream. 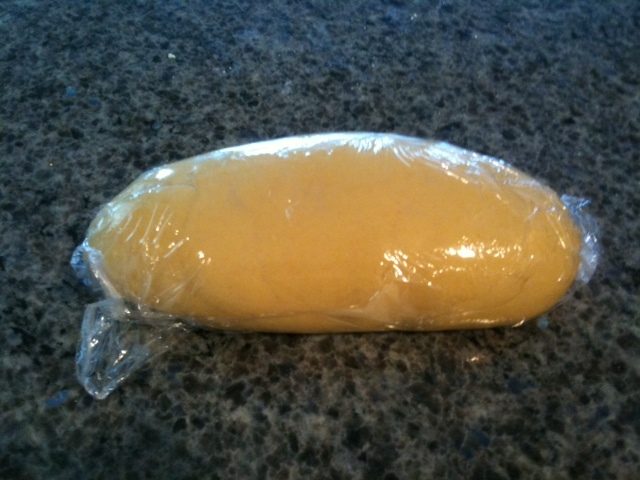 Step 3: Roll out dough in pasta maker. 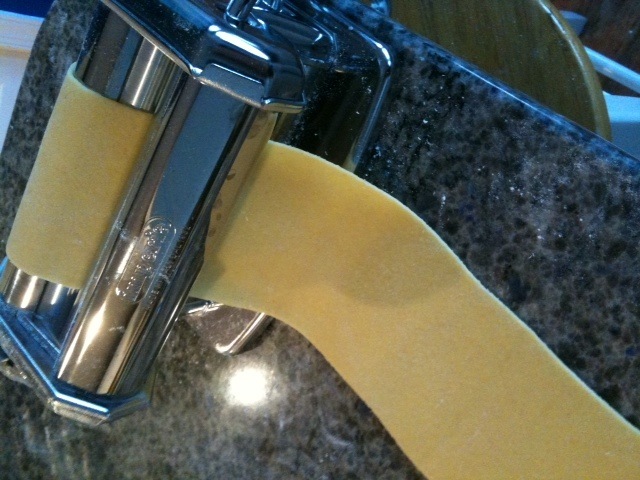 Step 4: Use ravioli press to create pockets of joy. Repeat many times. 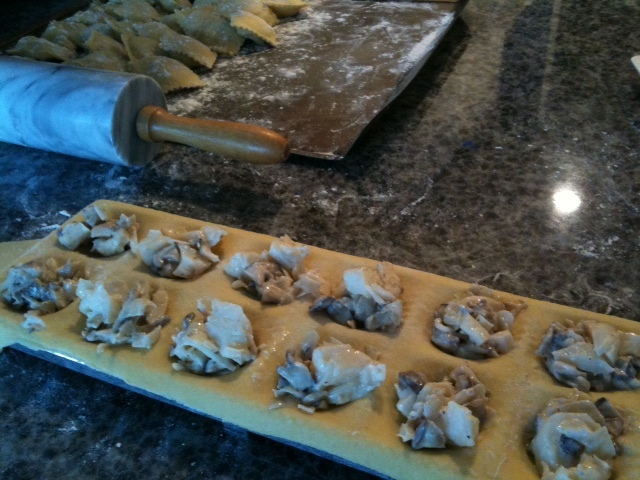 Step 5: Let ravioli dry for an hour on each side. Step 6: Boil for eight minutes. Step 7. 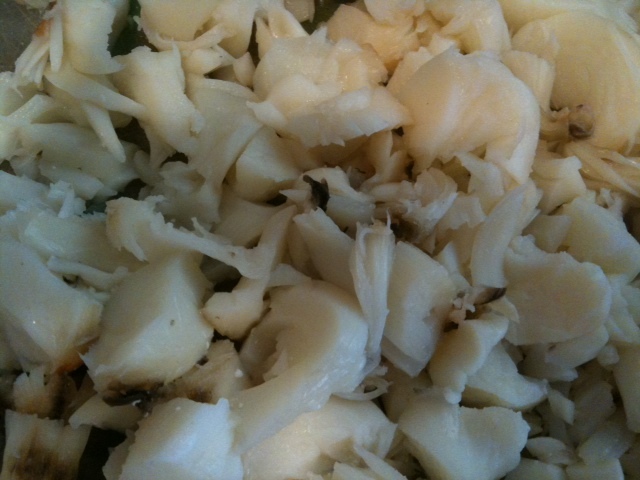 Make garlic cream sauce in which to immerse ravioli. Step 8: Top with chopped basil for that impressive restaurant flair. Step 9: Gorge until you have to go lie down. Family and friends = fat and happy (and totally impressed). After that experience, I decided to experiment. I made spinach dough, which I turned into ground turkey and mushroom ravioli and also linguine. You could say I was shell-shocked by the AWP conference I attended. 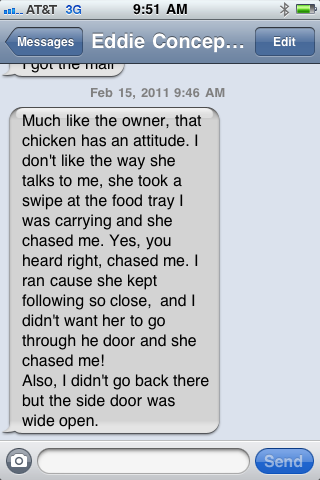 I felt incapable of explaining my dismay. Hence the reason for such silence on this blog. I’ve been back for four days, so here is my attempt. If you want to party like it is 1989, then the conference is your kind of place. Finally — and this is the really frightening aspect — out of about 350 panel discussions and workshops, fewer than 10 had anything — anything at all — to do with the magical world that is the Internet. Print is not dead, but many writers are too busy lamenting the decline of the traditional medium to embrace the opportunities inherent in our digital age. During a break from the conference, I also read a blog post by Nicholas Carr wherein he groused about the state of our collective attention span. Things are different now. Different expectations, realities, opportunities. There is a time and a place and a need for “long form” work, just as there is for “short form.” Accept it and move on. Bellyaching is not going to make the Internet go away. Maybe that will be the title of the panel discussion I will propose to present at the AWP conference in 2012. Ironically, when I am under the most stress, that is when I feel the most charitable toward fellow humans. I’m a kinder, gentler Beth (or “Betty,” as I am called by Dominic’s classmate’s mom). I did not mentally resolve to fail the student who asked me (via Twitter) if we were having class today, despite the fact that I told him in person and via the syllabus that there was no class today. I did not launch a well-placed kick at the nut sack of the idiot whose meandering while chatting on his cell phone nearly made us miss the train from the airport. I did not body-slam the intellectual giant who thought it was a good idea to drag her suitcase — in which one could hide at least two corpulent corpses — onto said train, banging into everyone in sight and running over countless toes. See?! I am calm. I. Am. Calm. For those who wish to know, I am in Washington, D.C., attending the Association of Writers and Writing Programs annual conference.